Reached our hotel at about 1pm and luckily we were able to check-in our rooms though official check-in timing is 2pm. 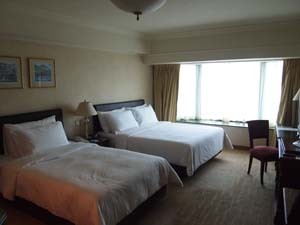 Fairly spacious compared to other hotels in Hong Kong. 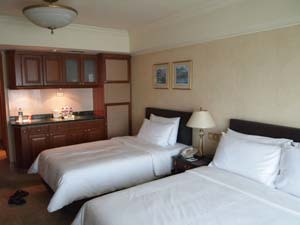 I specifically requested for a family room with a double and single bed. We were staying in room 1112. 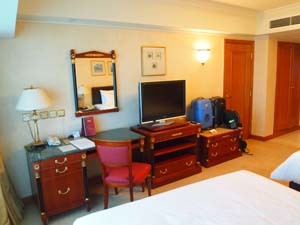 Another angle of the hotel room. A LCD TV and table at the side. Another important location of the room. 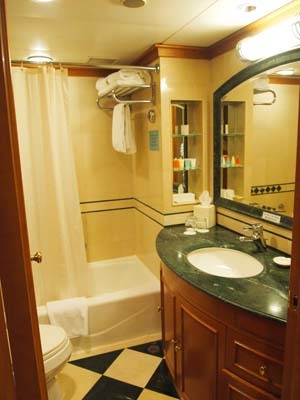 Thy toilet with a very very shallow bathtub. 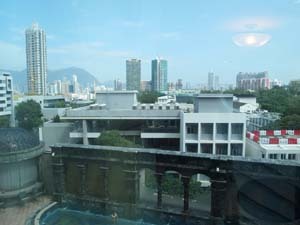 View from the hotel room. I sort of pick this hotel cause of the swimming pool as Aiken likes to swim. The pool water is heated and has underground music, how cool is that? After the grand tour of the room, we sort of went to bed and slept till 7pm. A bit waste time but we were really tired from the early flight. Decided to make our way to Tsim Sha Tsui to check out the Avenue of Stars and Symphony of Lights. 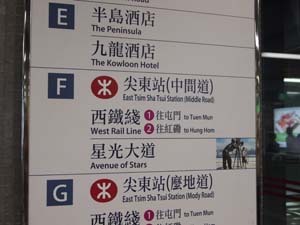 There is a covered linkway from our hotel (Mong Kok East MTR) to Mong Kok MTR which is nearly for us to travel to TST instead of taking the East Rail Line. 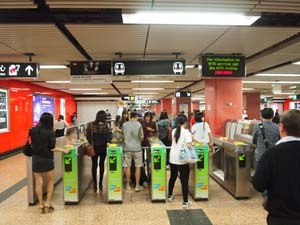 Mong Kok MTR station, looks similar to our MRT stations. 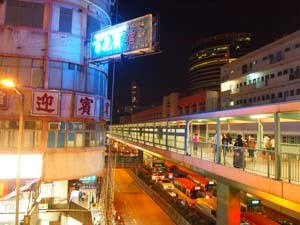 Theirs is also very well-connected to all the major buildings, shopping areas via underground linkways. 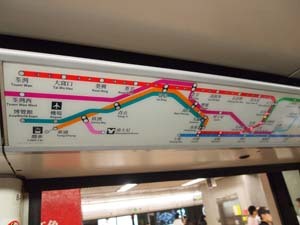 In the MTR, there is a light indicator of the station the trains are at, with indicator arrows of the direction of travel. 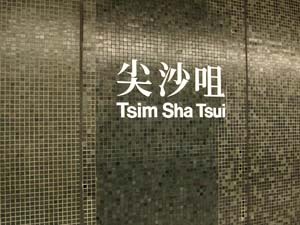 It was about 6mins from Mong Kok to Tsim Sha Tsui station. Quite fast. Onwards to Exit F, Avenue of Stars. It is really quite easy to move around the MTR stations. 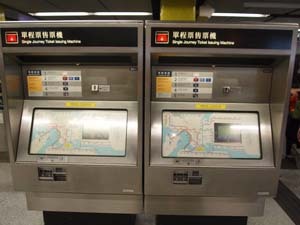 Hong Kong's MTR ticketing machines. You can purchase single trip tickets from these machines.